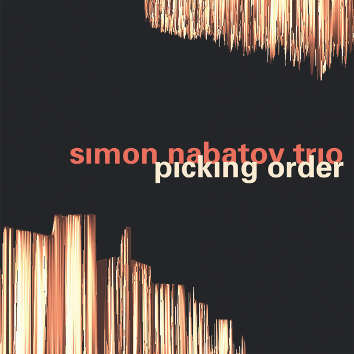 After many years of navigating the tempestuous waters of free-improvised music, Simon Nabatov drops anew the anchor in the bay of written material, tunes, pre-determined dramaturgy and gestures — leaving plenty of room for suspense and surprise. His new trio is a purely Cologne based venture and includes two of the brightest talents of its current scene — the bassist Stefan Schönegg and the drummer Dominik Mahnig (who already appears on a couple of Leo Records releases). Every piece of this album tells a unique story, often choosing a specific route and vernacular to get to the core of the story unfolding. Nebulous collective fluctuations get pierced by brutal invasions of well hidden Brazilian origins; a soulful groove disintegrates into a microtonally sliding dirge; a sunny song, seemingly maimed for good in the process, receives a glorious resurrection with a touch of Africa thrown in — all of it, and much more, makes up the musical journey with the Simon Nabatov Trio.